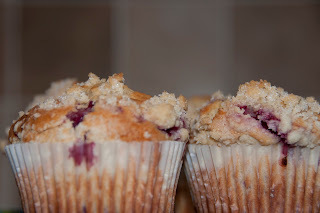 Within two seconds it was decided that fruit muffins were the order of the day, and never having made muffins or even own a muffin tray a quick visit to the shops later the muffins are being made. The house now smells lovely and the second tray of six are in the oven, here's my first attempt at muffins, and my taste tester even thought i had bought them! Cheeky, but I'll take that as a positive that they are very very good. 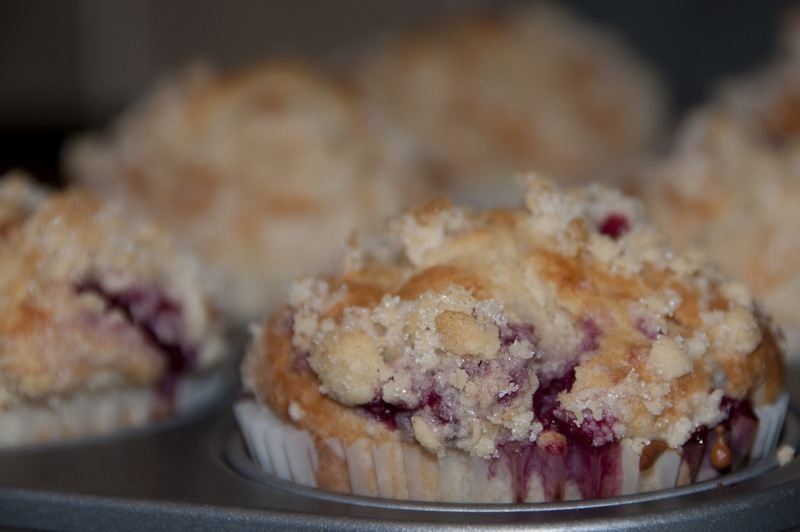 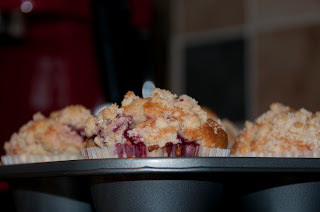 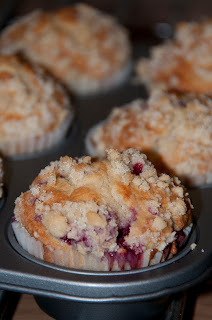 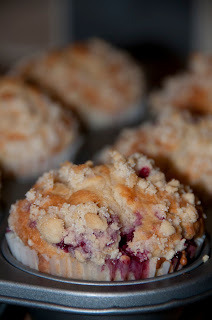 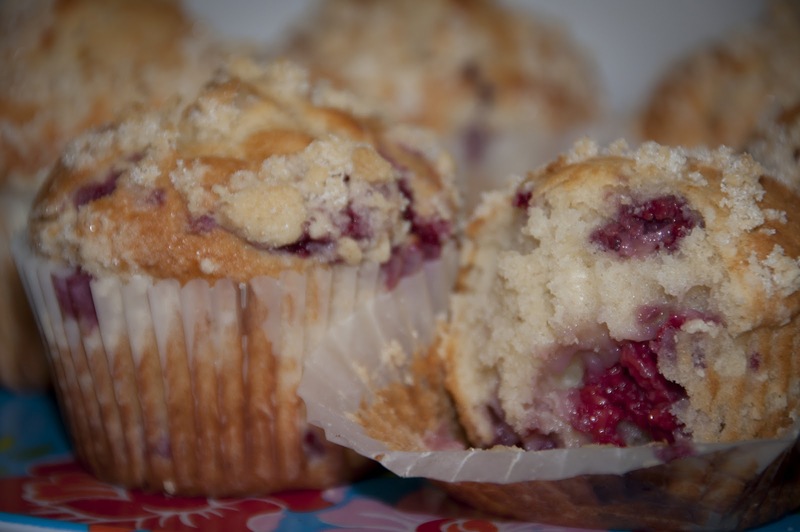 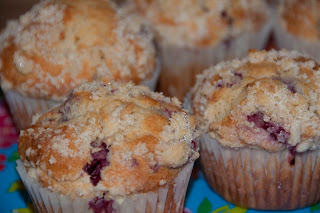 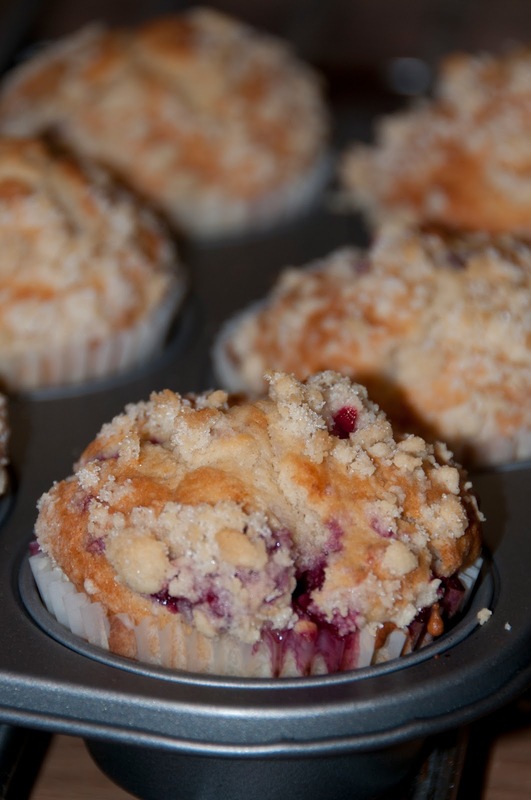 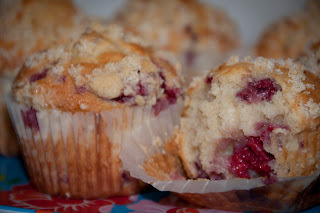 Raspberry crumble muffins made with low fat yogurt mmm yummy.